Posted by Amy Russ in Community News. Did you know we have budding artists in our midst? 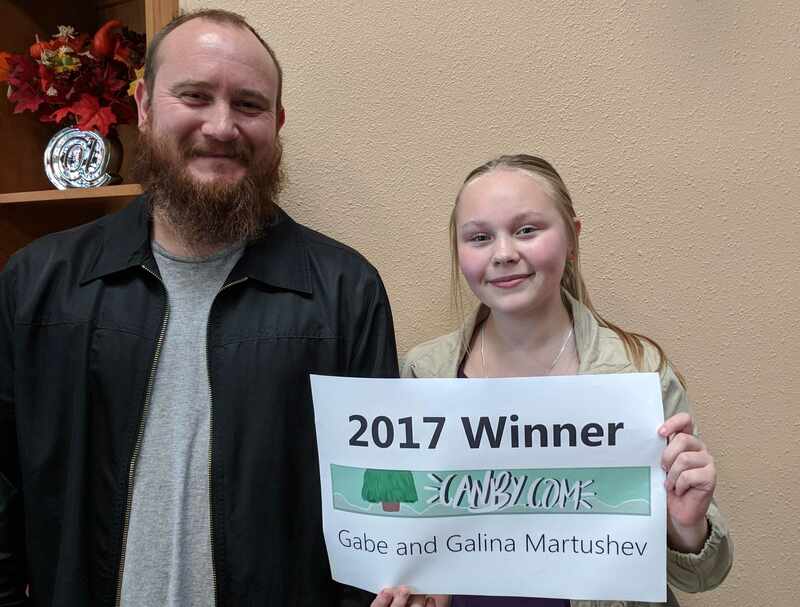 DirectLink would like to extend our warmest congratulations to Gabe and his daughter Galina Martushev for submitting the winning design for the Canby.com banner through the recent Canby Doodles contest. Her winning art will be used in a custom theme for the site. Earlier this year DirectLink held a contest for local artists to provide the banner and color theme for the newly renovated Canby.com community portal. This web-based community site has been active for about 10 years. It has served as a gateway to access canby.com email and a bulletin board for some community activities. We have upgraded the portal to a fresh, new appearance that now serves as an aggregate for all things Canby. Enjoy headlines from Canby Herald, announcements about local events and happenings, local items for sale, and more. The Martushev family received a $150 bill credit for being selected for Grand Prize in the first ever Canby Doodle competition. You can view all the custom themes here and choose one to customize your home page.